To add many files at a time (Bulk Upload) navigate to the desired folder location and click on the Bulk Upload icon to add files to that folder. 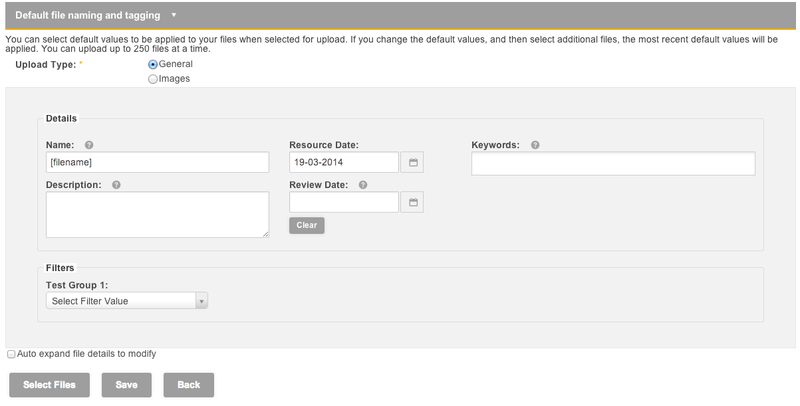 Select the file type and details such a s a review date, description and keywords for search purposes. Then click on Select Files. By clicking the ‘Select Files’ button users can choose up to 25 documents to upload into the destination folder. If you are using a recent browser, you can also ‘drag and drop’ your files files into the upload list. 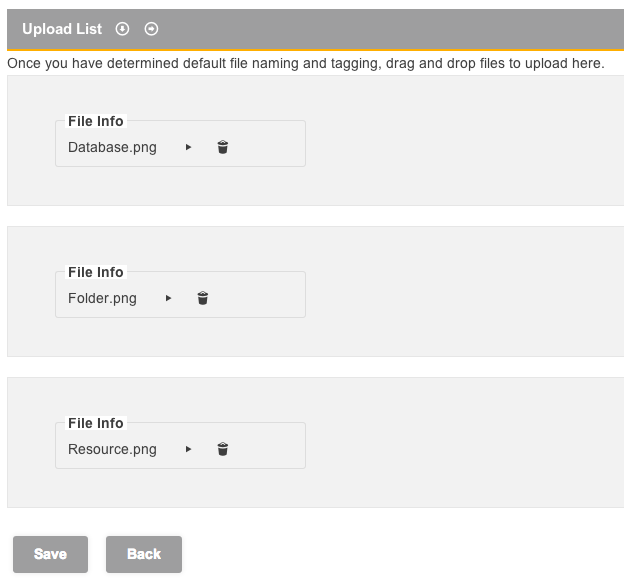 The files you select will then appear in the ‘Upload List’ section; you can then customize the meta data and settings for each file individually. In order to alter the files options users will need to click the ‘➤’ button located next to the files title.